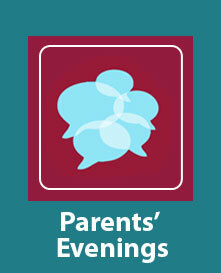 Each year group has an annual parents’ evening which provides an invaluable opportunity for you to meet with your child’s teachers and discuss their progress as well as any issues that concern you or your child. Your son/daughter will be given an appointment card in school, which they will take to each of their teachers to allocate time-slots for you to meet with them. Appointments are to be made between 4.15pm and 6.30pm. You will have a three-minute time-slot with each subject teacher. A huge thank you to all staff for their dedicated teaching. Very well led and managed. Varied range of extra-curricular activities. What impresses me is the co-operation and connection between pupils, parents and teachers. The staff all seem interested, not only in academic achievements but also in ensuring all pupils are happy. I am very impressed with the obvious strong leadership and attention to detail regarding lesson structure and learning objectives. The staff have a genuine interest in the pupils. Lessons are fun as well as educational. The teachers are enthusiastic about their subjects and are very approachable. My child is happy at Barlow and feels valued. There is a good ethos of respect for others. I have been impressed by the pastoral care. The staff are warm and caring.